The CAA is affiliated with the International Arctic Research Center,  and the International Arctic Science Committee. The International Arctic Research Center, or IARC, established in 1999, is a research institution focused on integrating and coordinating study of Climate change in the Arctic. The primary partners in IARC are Japan and the United States. Participants include organizations from Canada, China, Denmark, Germany, Japan, Norway, Russia, the United Kingdom, and the United States. The International Arctic Science Committee (IASC) is a non-governmental organization which is composed of international science groups participating in arctic science research. IASC is an International Scientific Associate of ICSU, and was established in 1990. IASC's main aim is to initiate, develop, and coordinate leading edge scientific activity in the Arctic region, and on the role of the Arctic in the Earth system. It also provides objective and independent scientific advice to the Arctic Council and other organizations on issues of science affecting the management of the Arctic region. The decision-making organs of IASC are the Council and the Executive Committee. The day-to-day operations are supported by its secretariat headed by the executive secretary. IASC's geographical remit covers the Arctic Ocean and the surrounding landmasses. Shanghai Daily is an English-language newspaper in China started in October 1999 and owned by Shanghai United Media Group. Its primary audience is expats living in Shanghai, visiting foreigners, mainly overseas investors and tourists to Shanghai, and local white-collar workers proficient in English. Many Chinese students also read it to improve their English. It is the only English-language newspaper that is published seven days a week in Mainland China. Yabuli Ski Resort is the largest ski resort in China and includes the country's largest ski jumping facilities, located in the northeastern province of Heilongjiang. It is 110 mi (177 km) southeast from Harbin, approximately 2.5hrs by train. Yabuli hosted the 1996 Winter Asian Games, the 2008 National Winter Games and the 2009 Winter Universiade. Yabuli underwent major renovations in the 2008/2009 winter season. A new four seater Doppelmayr chairlift was installed, along with a six-seater gondola. Existing lifts consist of single chairlift, double chairlifts and poma's. Three new on-snow hotels/lodges are being constructed and should be open by mid-January 2009. Based in Brussels, Belgium, the International Polar Foundation (IPF) communicates and educates on polar science and polar research as a way to understand key environmental and climate mechanisms. The foundation also promotes innovative and multifaceted responses to the complex challenges raised by the need for action on sustainable development, and designed, built and operates the first zero emission Antarctic scientific research station Princess Elisabeth Antarctica. The IPF was founded in 2002 by polar explorer Alain Hubert, Hugo Decleir and André Berger. MV Xue Long 2 is a Chinese icebreaking research vessel that is under construction and scheduled to enter service in 2019. She follows the naming of MV Xue Long, China's first polar research vessel. 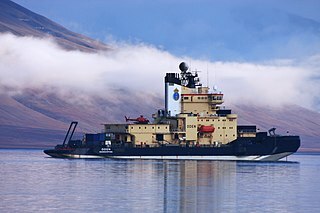 Oden is a large Swedish icebreaker, built in 1988 for the Swedish Maritime Administration. It is named after the Norse god Odin. First built to clear a passage through the ice of the Gulf of Bothnia for cargo ships, it was later modified to serve as a research vessel. Equipped with its own helicopter and manned by 15 crew members it has ample capacity to carry laboratory equipment and 80 passengers, functioning independently in harsh Polar ice packs of the Arctic and Antarctic seas. It was the first non-nuclear surface vessel to reach the North Pole, together with the German research icebreaker Polarstern. It has participated in several scientific expeditions in Arctic and Antarctica. The Scott Polar Research Institute (SPRI) is a centre for research into the polar regions and glaciology worldwide. It is a sub-department of the Department of Geography in the University of Cambridge, located on Lensfield Road in the south of Cambridge. Qu Tanzhou is the director of the Chinese Arctic and Antarctic Administration. The Swedish Polar Research Secretariat is a government agency in charge of coordinating and promoting Swedish polar research activities. It is located in Stockholm, has more than 30 employees, and serves under the Ministry of Education and Research. Students on Ice is a Canadian charitable organisation that leads educational expeditions to the Arctic and Antarctic for international high school and university students. Its mandate is to provide youth, educators and scientists from around the world with learning and teaching opportunities in the polar regions, with the goal of fostering new understanding of and respect for the global environment. Arctic Policy of China is China's foreign relations with Arctic countries, and the Chinese government's attitudes and actions on issues occurring within the geographic boundaries of "the Arctic" or related to the Arctic or its peoples. 1 2 3 "A Brief Introduction to CAA". chinare.gov.cn. Archived from the original on 7 March 2010. Retrieved 27 July 2010. ↑ "NSIDC Notes, Issue 33". National Snow and Ice Data Center. University of Colorado at Boulder. September 2000. Retrieved 27 July 2010. ↑ Qian, Wang (2010-05-06). "Arctic research set to be beefed up". China Daily . Retrieved 27 July 2010. ↑ Riffenburgh, Beau (2007). Encyclopedia of the Antarctic. 1. CRC Press. p. 226. ISBN 0-415-97024-5. ↑ "IARC International Collaborations, Partners, and Related Organizations". iarc.uaf.edu. Fairbanks: IARC, University of Alaska, Fairbanks. 2009-02-13. Archived from the original on 15 May 2008. Retrieved 27 July 2010. ↑ Einhorn, Bruce (2006-04-03). "China enters the Ice Age". Business Week . Retrieved 27 July 2010. ↑ "PANDA & Dome A station: 25th Chinese Antarctic Expedition". polarfoundation.org. Archived from the original on 22 December 2010. Retrieved 28 July 2010. ↑ Qiu, Jane (2009-01-06). 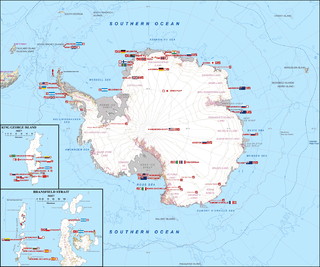 "China builds inland Antarctic base". Nature News . Retrieved 28 July 2010. ↑ "China to boost Arctic research". barentsobserver.com. 2010-05-06. Retrieved 27 July 2010. ↑ "First Chinese-built polar icebreaker gets name". Xinhua. 10 October 2017. Retrieved 19 April 2018. "CAAA Official Website" (in Chinese). Retrieved July 27, 2010.